In a competitive real estate market, property owners have to be smart in order to make money. the smartest things a property owner can do to increase profits. Home staging involves putting rental furniture and decorations into a home so it looks lived in, but better,” Lindner said. Although many people mistakenly believe that home staging is about interior design, master home stagers actually incorporate elements of psychology and marketing to highlight a property’s best features and evoke positive feelings from potential buyers. Depending on the location, size, type and style of the home, Lindner and her team work with property owners to develop a buyer “profile” of the targeted buyer. She uses the buyer profile to analyse what the targeted buyer will be looking for in the home. Lindner and her team are able to understand the buyer’s needs and connect with their dreams and desires using “considered packaging” and marketing strategies. Everyone knows about decluttering, cleaning and curb appeal, but Lindner said that styling is about so much more than that. Styling is about selling a lifestyle… It can direct them to where you want them to look—and away from where you don’t want them to look,” Lindner said. In fact, according to Lindner, staging a home can result in a 7 percent to 17 percent increase (or more) in the sale price. In one example, Lindner said that her team styled a home that sold in 10 days for $547,000. An identical home on the same-size lot located next to the styled property sold in 10 weeks for only $518,000. The styled property had no holding costs, while the unstyled property had 2.5 months of holding costs. 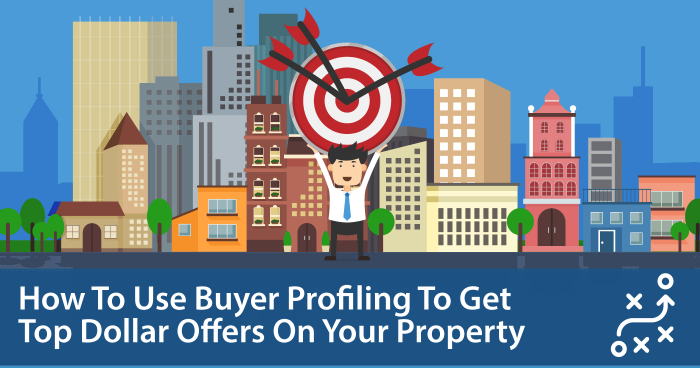 In order to get the highest possible sale price on a property, it is critical to create a demographic profile for your targeted buyer. After you determine what your buyer needs and wants from a home, you will be able to create an atmosphere that evokes feelings that are important to them and meets their needs, Lindner said. For instance, a large home in a suburban development would need to have softness, warmth and family appeal, while an urban warehouse-style loft would need sleek, contemporary appeal for a single person or a couple with no children. After you figure out your buyer’s profile, you will be better able to connect with their dreams and desires. Whether your targeted buyers are hoping to start a family, have growing children or are career-oriented single people, you will be able to create an environment that aligns with the buyer’s goals. Staging allows you to show potential buyers the amazing life they can have in your property,” said Lindner. Lots of companies tap into the power of feelings when marketing their products or homes, using slogans such as “love where you live” or “welcome home,” Lindner said. When sellers identify the feelings that buyers want to have about their home, they are able to create an atmosphere that fosters those feelings. Many buyers decide what they are going to buy before they even arrive at your property, Lindner said. When they encounter a property that connects with their emotions, they become attached and often are willing to pay a premium price. People want to buy what they can’t afford, so I style properties one level above what would be in the price range for targeted buyers,” Lindner said. Styling a property in such a way that it is just financially out of reach for a targeted buyer creates aspiration and can impact a buyer’s perception of value. The more valuable a buyer thinks a property is, the more they will pay… It can also generate competition,” Lindner said. Ninety-five percent of buyers can’t see past what you show them,” Lindner said. So, if all you are showing a buyer is a vacant space, they will focus on minor imperfections that can create an opportunity for them to make a lower offer or worse, walk away—which can end up costing you a lot of money. Lindner said that vacant bedrooms are uninspiring and can look small and box-like. Adding a double bed whenever possible can make bedrooms feel larger and resolve a buyer’s objections about whether furniture will fit. Spare bedrooms can also be turned into offices or gyms, Lindner said. Having Trouble Getting The Price You Want For Your Property? Home Staging can increase your sale price by 17% or more… but hire the wrong tradespeople and you might end up wrecking your profits. So why not avoid the risk completely? Check out the Property Investor Rolodex now to get access to our exclusive database of tried, tested, and vetted tradespeople, contractors and professionals. Based on your buyer’s profile, you can style each room to have a specific purpose that can tell a story to your buyer and focus your buyer’s attention on the most positive aspects of the property. Staging can help buyers to focus on the selling points in every room,” Lindner said. And, the right furnishings and accessories can also draw attention away from less-positive attributes of a property. Accessories, such as coffeemakers and glassware in the kitchen, can make a property look lived-in and create a feeling of warmth. However, Lindner said that it is important to avoid obvious over-styling. Well-styled outdoor spaces increase the value of the property because buyers perceive them to be additional living space, Lindner said. It’s basically like adding another room to your property, which adds value,” she said. Today’s buyers also want lots of options for living spaces, she said, so having an attractive outdoor area is a big selling point. For maximum visibility and flexibility, property owners should consider using non-traditional or emerging opportunities to advertise their property. Facebook and Twitter allow property owners to connect with potential buyers where they already are—on social media, said Lindner. And, it gives sellers the opportunity to do targeted marketing based on a specific demographic or location and provide near-real-time property updates, she said. Professional property photography and the use of video can go a long way toward portraying your property favorably to prospective buyers, Lindner said. Video, in particular, offers sellers the opportunity to connect with buyers in a way that still photographs can’t. She said videos that show every room of the house from a lifestyle perspective are very effective at tapping into the feelings of buyers before they see the property in person. Although decorating schemes should have a neutral backdrop and incorporate bold accent colors, Lindner warned against using anything that is too boring. When people think ‘neutral,’ they automatically think ‘beige’… It is important to make the décor memorable, but simple,” Lindner said. Although staging is becoming a more widespread practice in Australia, many property investors still consider it to be an extravagance or an unnecessary expense. Although it is an added cost, Lindner said that the use of hard sales data and the return on investment make staging well worth it. And, there are many options when it comes to staging a home. The fees for partial staging of a few rooms in a house typically start at around $1,000, while a complete styling of a large vacant home could cost $6,000 or more. Lindner said that she also offers staging consultations and provides a seller with a comprehensive staging action plan detailing all the steps that they can implement. This option works well for sellers who have a lot of time, but not a lot of cash,” Lindner said. Absolutely agree! Staging and marketing is a very crucial point to selling a house, done right your selling them their dream home. Great read. Knowing your product and your buyers are the keys to successful selling no matter what industry you are in.